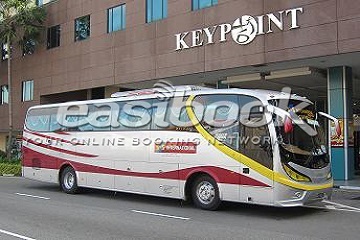 S&S International Express is a well known bus operator based in Kluang,Johor. S&S International provides daily routes across the center and southern region of West Peninsular Malaysia. 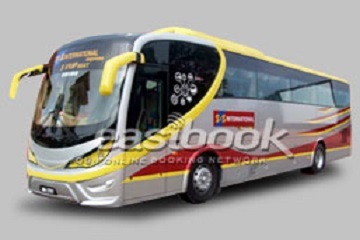 One of its popular routes are return bus route from Johor Bahru,Larkin to Kluang. 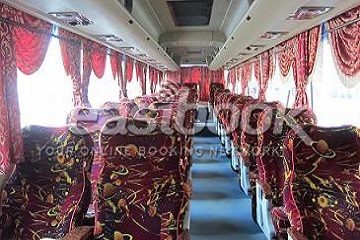 Besides,it also offers return bus trip from Malacca, Johor Bahru and Kuala Lumpur to Mersing. If you are traveling from Singapore to Mersing, you can take a connecting SBS bus service-170 bus to Johor Bahru Larkin Bus Terminal. Upon arrival at Larkin Bus Terminal,you can now get on board a S&S International’s bus to Mersing. Mersing is a gateway town to Tioman Islands popularly visited by many Malaysian and foreign tourist. S&S International provides 2 return trips from Johor Bahru,Larkin Bus Terminal to Mersing on a daily basis. Besides, for passengers that are departing from Malacca, there are 3 return trips daily from Malacca Sentral to Mersing. S&S International Express bus comes with on board TV for the comfort of all of its passengers. Buses available are single deck with 27 seats or 30 seats. On board meal is not available as most of the bus journey are less than 5 hours. 144 Upper Bukit Timah Rd #02-03 Beauty World Centre, Singapore 588176.